On Saturday evening, September 19th, a 51-year old Coral Springs resident was spending some quality time with his boat when collided with another vessel at approximately 8 pm. The accident took place on the Intra-coastal Waterway on Pompano Beach. The accident was so severe that the impact sent the 51-year old into the water. The passengers and operators on the other vessel all suffered injuries and taken to a nearby hospital after the accident on Saturday evening, but the body of the Coral Springs man wasn’t found. Nearby residents and witnesses claimed that the accident sounded like thunder. Authorities searched through the remainder of the evening on Saturday evening and into half the day on Sunday, September 20th. The body of the Coral Springs man was found Sunday afternoon after a search by the Wildlife Conservation Commission and U.S. Coast Guard. The reason for the boating accident is currently unknown. However, it was determined that alcohol was in fact involved in this accident. The two vessels were later impounded while the accident is under investigation. 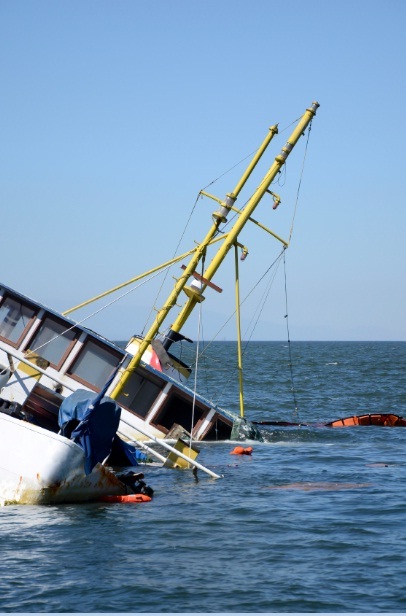 Boating accidents in Florida, such as these, are all too common, and can happen for any number of reasons. In fact, many boating accident happen due to similar causes for car accidents such as distracted driving and driving under the influence. Although though driving a boat is much different than driving a vehicle, at the end of the day, it is still operating a piece of machinery that involves concentration and focus in order to avoid an accident. If you or a loved one was involved in a boating accident, you can seek legal representation just as you would for a car accident. For more information on how we can help you with your boating accident, contact the legal team at Leifer Law today by calling 561-395-8055.